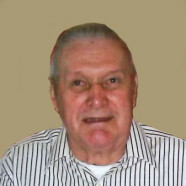 Saturday, February 2, 2019 9:00-10:45 a.m.
Alois F. “Al’ Koopmann, age 88, of Bartelso, died Monday, January 28, 2019 at HSHS St. Joseph’s Hospital in Breese. He was born July 20, 1930 in Bartelso, a son of the late Herman and Cecilia, nee Varel, Koopmann. In addition to his parents, he was preceded in death by siblings, Marie Koopmann in infancy, Thomas Koopmann, and Helen Gebke; and brothers-in-law and sister-in-law, Cornelius Gebke, George Vandeloo, and Jane Koopmann. Surviving are his siblings, Roman “Butch” (Lorene) Koopmann of Belleville, Andrew “Pete” (Janet) Koopmann of Belleville, Blanche Vandeloo of Bartelso, and Ed Koopmann of Bartelso; and nieces and nephews. Al was a veteran of the Korean War and formerly worked as a truck driver for Rakers Elevator in Bartelso. He was a member of St. Cecilia Catholic Church in Bartelso, Bartelso Knights of Columbus Council 4745, and the Clinton County Farm Bureau. Funeral Mass of Christian Burial will be Saturday, February 2, 2019 at 11:00 a.m. at St. Cecilia Catholic Church in Bartelso with Fr. George Mauck presiding. Interment will follow in St. Cecilia Cemetery, Bartelso. Visitation will be Saturday, February 2, 2019 from 9:00-10:45 a.m. at St. Cecilia Catholic Church in Bartelso. Memorials may be made to St. Cecilia Catholic Church and will be received at the church or through Moss Funeral Home who is serving the Koopmann family.